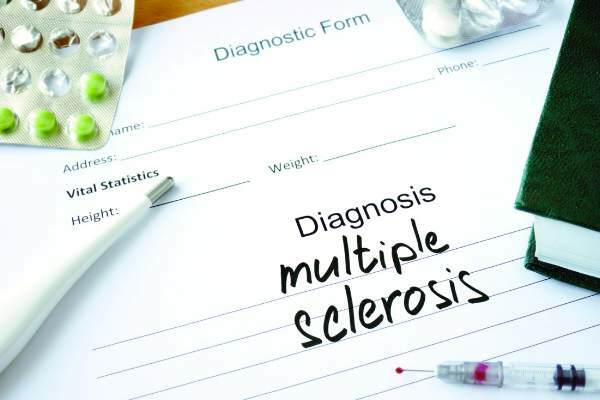 A standardized frankincense extract was safe, well tolerated, and potentially efficacious as an oral treatment in patients with relapsing-remitting multiple sclerosis (RRMS), according to results of a small, nonrandomized study. Patients receiving the herbal treatment had significantly fewer contrast-enhancing lesions on MRI versus baseline in the study, which was published in the Journal of Neurology, Neurosurgery & Psychiatry . Randomized, phase 2b or 3 trials should be initiated to evaluate the potentially beneficial effects of the treatment, said lead author Klarissa Hanja Stürner, MD, of the Institute of Neuroimmunology and Multiple Sclerosis at University Medical Center Hamburg-Eppendorf, (Germany), and her coinvestigators. “Despite our encouraging results, it is difficult to forecast the efficacy of a standardized frankincense extract in RRMS,” Dr. Stürner and her colleagues wrote in their report on the study. Boswellic acids, believed to be the active compound in frankincense, has been used as an anti-inflammatory substance for thousands of years in Eastern medicine, according to the study authors. Frankincense extracts were safe and well tolerated in several small, randomized trials including patients with inflammatory or autoimmune diseases, they noted. Dr. Stürner and her colleagues tested a standardized frankincense extract in the SABA phase 2a trial , an investigator-initiated, open-label, pilot study including 38 patients with RRMS. Patients underwent observation for 4 months, then were treated with the extract for up to 8 months plus an optional extension phase of up to 36 months. A total of 28 patients completed the initial treatment period, and 18 participated in the extension period, according to the study results. The median number of monthly contrast-enhancing lesions was significantly reduced from 1.00 at baseline to 0.50 during the initial treatment period (P less than .0001). In addition, significantly less brain atrophy was noted after the treatment phase as compared with the baseline observation phase (P = .0081). Adverse events, mainly infections or gastrointestinal symptoms, were mild (57.7%) or moderate (38.6%), investigators added. Treatment significantly increased regulatory CD4-positive T cell markers and decreased interleukin-17A–producing CD8-positive T cells, according to results of mechanistic studies that were also reported. Other anti-inflammatory drugs that have been licensed act broadly on the immune system, according to investigators, and so those agents require careful monitoring for side effects. The study was funded in part by Alpinia Laudanum Institute, which supplied the standardized frankincense extract at no charge. Individual authors reported competing interests with Alpinia Laudanum, Biogen, Sanofi Genzyme, Novartis, Merck Serono, and others. SOURCE: Stürner KH et al. J Neurol Neurosurg Psychiatry. 2018 Apr;89(4):330-8 .